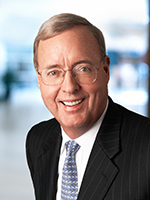 Baird Chairman & CEO Paul Purcell will receive the 2014 Reach for Excellence Award from Midtown Educational Foundation later this month. Midtown Educational Foundation is a Chicago nonprofit dedicated to helping at-risk children achieve their full potential in school and in life. The Reach for Excellence Award honors individuals of strong character and integrity who lead exemplary professional and personal lives. Past honorees include prominent business and sports figures and organizations. Read Midtown Educational Foundation's news release here.